The Yamaha C-Series is designed as entry-level guitars for new learners. As such, they are carefully crafted with playability in mind, something that beginners and young guitarists would truly love about this lineup. This is also true on some of the best Yamaha acoustic guitars. The Yamaha C40II is a classic among full-size classical guitars designed with a scale and compact body for comfort’s sake. This guitar delivers an outstanding build and great sound at an extremely affordable price point. When we say “extremely affordable,” we are not even exaggerating. How good then is this guitar for its price? The Yamaha C40II is the successor to the discontinued C40. Almost every single thing about the C40 is inherited by the C40II, with a slight difference in the tonewood and hardware used. The C40II is a more durable iteration and a perfect companion to carry around, whether it is for traveling, camping, or out-of-state visits. The Yamaha C40II sports a spruce top and meranti back and sides; both are laminated. The bridge and the fretboard are made from ebonized rosewood, while the wide and flat neck is made from nato. These tonewoods are strong and durable enough to last the guitar for years. Unfortunately, the binding looks a little bit odd with its simple black paint. The nylon strings are easier on the fingers than steel strings, so beginners would really enjoy strumming and picking it for the first time. They have light action or lower tension so it is not difficult to press them down onto the frets. 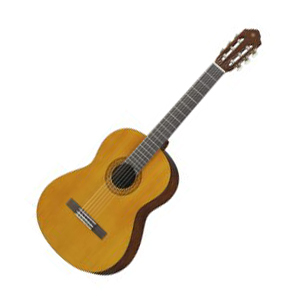 The frets, however, are not as sharp as the other low-end classical guitars on the market. Nonetheless, it is comfortable to play. By nature, classical guitars have to be tuned more frequently due to the nylon strings which stretch out more often. But true to Yamaha’s legacy, the tuning pegs are easy to adjust and they last for a really long time. That is so useful if you do not know yet how the whole tuning system on classic guitars works. The sound is decent enough, although not as powerful as an all solid wood handmade guitar can deliver. Taking a closer look and feel to the sound, it is smoother with an emphasis on mid-tones. In fact, the tone is way better than some more expensive classical guitars. Props to the sound engineers who have maximized the tone and playability of the guitar in spite of the cheap price tag. The Verdict: Should You Buy Yamaha C40II? With over 130 years of operation under its belt, there is no doubt that Yamaha is a well-respected and trusted musical instrument maker. They combine the best of old school techniques with new technology. Taking into account the experience of the company, buying anything from them is a no-brainer. However, the Yamaha C40II is not designed for all players across the board. 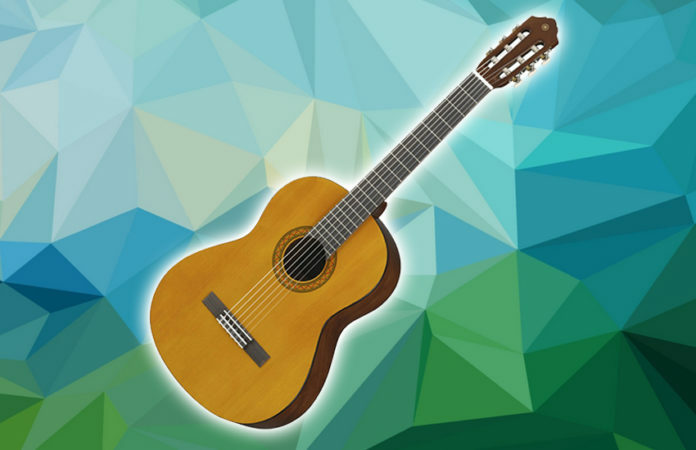 If you are a beginner and you are hunting for an extremely affordable classical guitar, the Yamaha C40II is one great option there is. An inexpensive classical guitar from a respected brand that boasts decent construction and tone for around $100? Now that is a real bargain.